Help your clients protect themselves and their credit card from identity theft. Great handout for banks, credit unions, festivals, community events, golf tournaments, parades and more. RFID theft is one the latest crimes people wanting to steal credit and debit card numbers are doing without people even knowing. 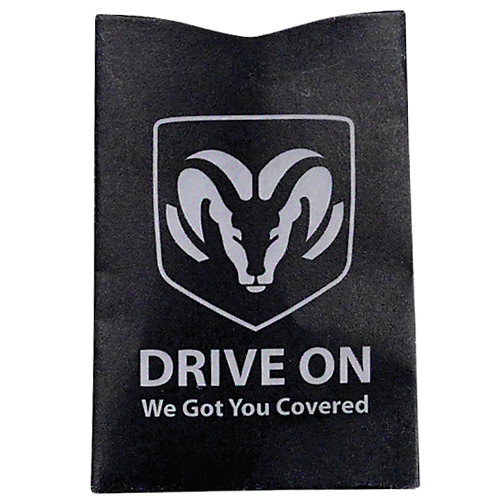 This affordable sleeve has durable multi-layer design which provides additional protection from identity theft. With one color imprint, min is 250 sleeves at 63 cents ea, 500 at 60 cents ea, 1000 at 59 cents, 2500 at 57 cents ea. Set up is 39.50 per imprint color. Imprint area is RFID Quick Shield Credit Card. Item QP-5244. 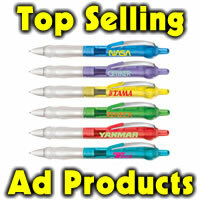 Do you want an affordable marketing piece that can bring peace of mind to the recipients? RFID blocker sleeve helps protect your precious identity. 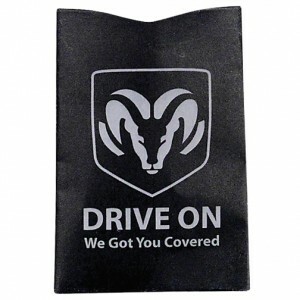 These Radio Frequency Identification Blocker Sleeves are a great way to ensure your identity is never stolen or used without your knowledge. These sleeves use a patented process and special alloy to protect data. 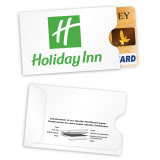 These RFID blockers are printed in full color to communicate your high impact message. Item number 594550. Min 125 at 1.15 ea, 250 at .75 ea, 500 at .65 ea, 1000 .60 ea, 2500+ .58 ea. Set up is 55.00.